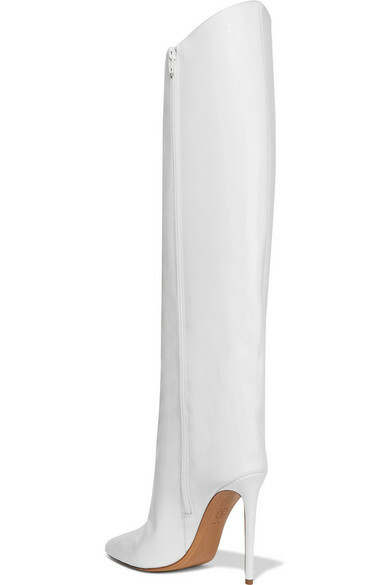 Like so many pieces in Alexandre Vauthier's collections, these white 'Alex' boots are inspired by glamorous '80s styles. 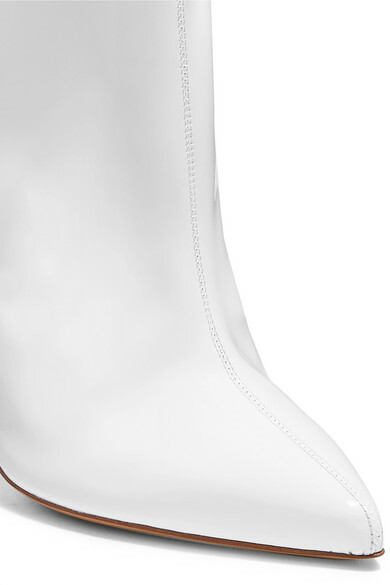 They're crafted from glossy patent-leather and set on a 110mm stiletto heel. The curved cuff dips just below the knee, making them the perfect complement to mini dresses and skinny jeans. Shown here with: Alexandre Vauthier Dress, Gucci Shoulder bag, Off-White Earrings.